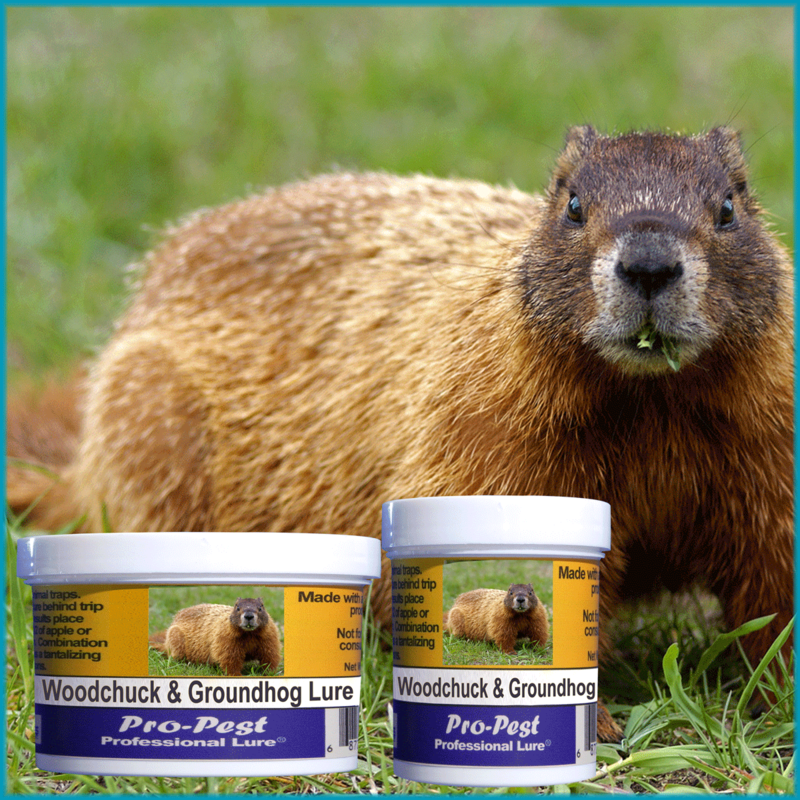 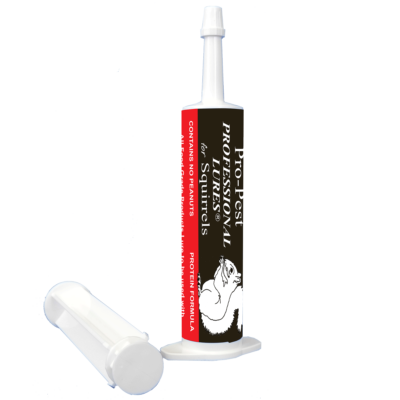 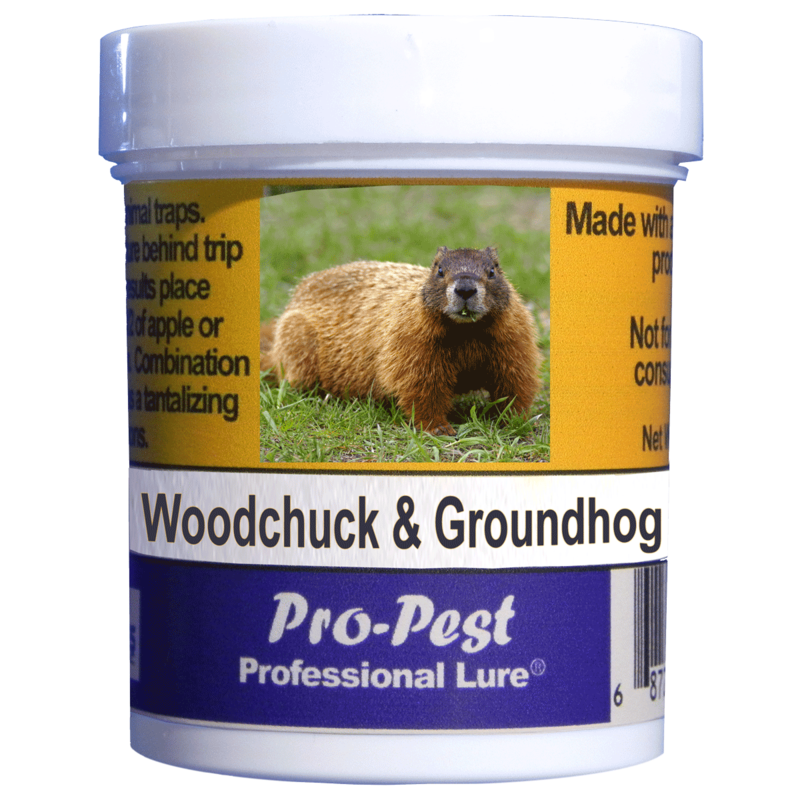 Pro-Pest Professional Nuisance Wildlife Lure for Woodchucks and Groundhogs is made with 100% food grade ingredients containing vegetables and berries that create a scent that is irresistible to groundhogs and woodchucks. 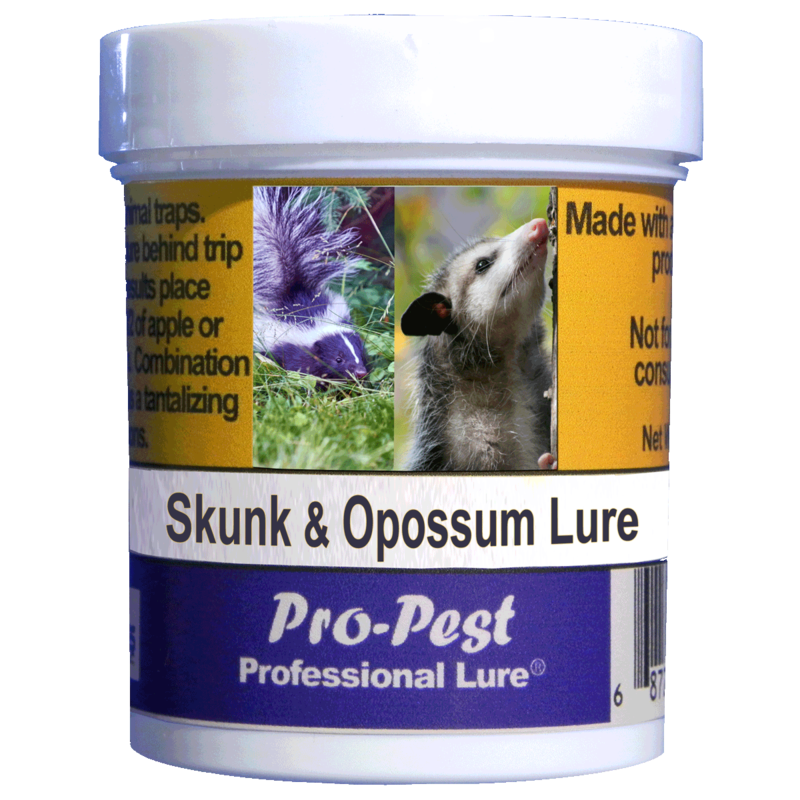 Apply a teaspoon of lure on a slice of apple, or piece of lettuce or cabbage and place behind the trip pan of a live animal trap. 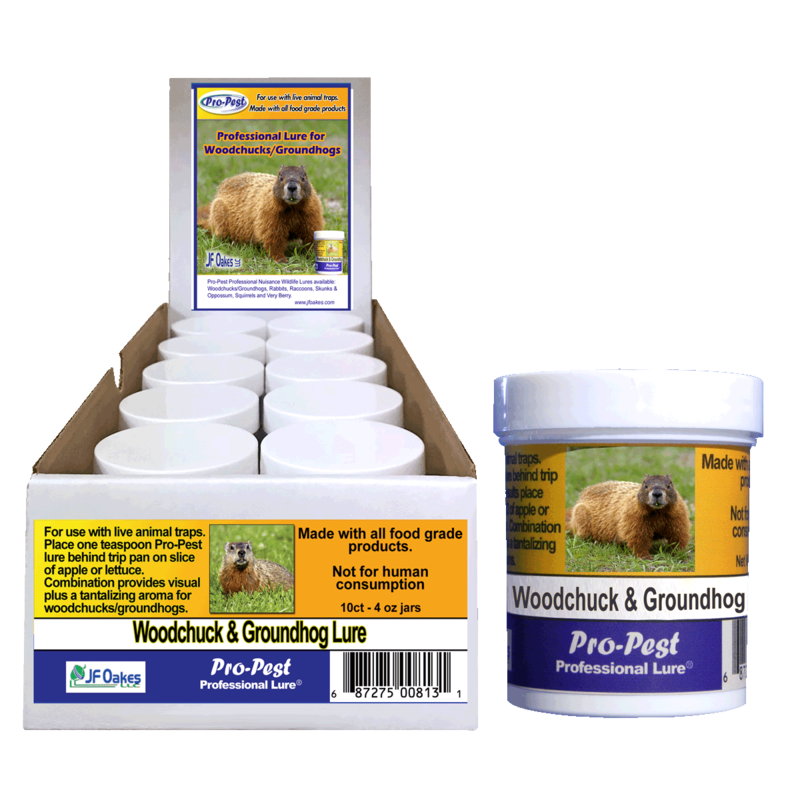 This creates both a visual and aromatic attraction for both groundhogs and woodchucks.